This article is for the purpose of letting people know how they can choose their interest in art. Art, if you let it, can be a form of medication for the sole. Find the right kind and it can heal an injured sense of the body. Many people think of art as just: drawing a picture or painting like a fool. What these people don’t understand is how to observe art, how to picture it in your mind even after you have stepped away from the piece. When you are looking at a piece of art it is specifically important that you are looking at a piece that fascinates you, something that makes you think and that makes you never want to leave the sight. This is important because of you don’t like the piece then your brain will simply repel it and... Well you won’t understand truly what you are looking at. There are many ways in which you can work out the genre of art you wish to understand, you can simply look online, read books or one of my favourite pastimes, go to an arts museum. There are many types of art museum so don’t simply sit their thinking that you’re going to be walking into a room filled with elderly people looking at 200 year old pictures which make no sense to you, you will need to learn to understand that type of art. If you wish to understand an art which is a bit more up to date though still has its differences then it may interest you to visit a contemporary or modern arts museum. These can be found in many local attractions such as New York or London. But if like me you do wish to learn more about older even antique art then there are even more museums books and so on for that too. These are more likely to be found in the artistic attractions such Paris. 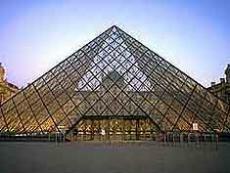 In fact Paris has one of the largest and most popular public exhibits in the world but yes there are more. To make sure you have made the right choice in an art type take a picture of the art you like look at it and ask yourself, “do i like this or not” once you have your answer to that question then you have your answer to this whole article. © Copyright 2019 Billy Lingard. All rights reserved. Has Texting Replaced Writing In Recent Times? Schrodingers cat - Thinking outside the box.